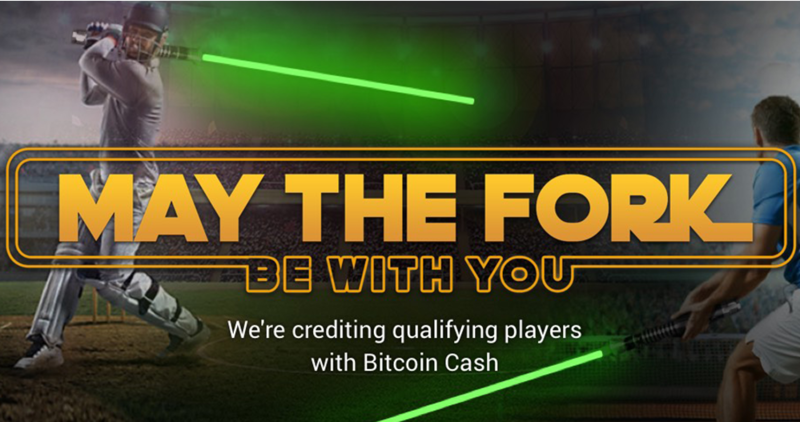 Recently, a fan-favorite and one of the best Bitcoin betting sites, Cloudbet announced the addition of a new payment method, Bitcoin Cash (BCH). To celebrate this wondrous occasion, Cloudbet is running what is probably the most exciting promotion we have seen in a while. If you are not sure whether you had some BTC or not, just log into your Cloudbet account. Then select Bitcoin Cash as your preferred currency. If you are eligible for this promotion, bonus BCH will be credited to your account. So, why did they decide to add Bitcoin Cash? Well, as some of you may already know, BCH offers faster and cheaper transactions than Bitcoin. Cloudbet is not the only platform that made this move. A couple of weeks ago, BitcoinCasino.us made a similar move, when they added Bitcoin Cash, as well as some other cryptocurrencies like Litecoin, Doge, and Ethereum. While BitcoinCasino.us is not offering their entire game roster for BCH players, Cloudbet has managed to integrate it completely. Therefore, you can place sports bets and play casino games (virtual and live ones) with Bitcoin Cash. Finally, make sure to check your Cloudbet account even if you’ve stopped playing on their platform. Who knows, maybe some BCH is waiting for you.